Join us every Thursday at 6:00pm in Fellowship Hall for dinner followed by worship and music. 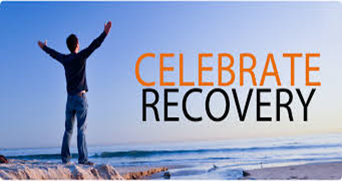 God’s Vision for Celebrate Recovery: To partner with God in transforming people with hurts, habits and hang-ups from unbelievers to fully devoted disciples of Jesus. Child Care will be provided every Thursday night from 6:15-8:45 pm, Infant – Elementary. Check in and registration is just outside the back of the Sanctuary, adjacent to the education wing.